As the Pinterest tutorial was awesome, I'd recommend following the steps outlined in the pin. I did an extra coat of white, though, because I wanted a nice opaque line. I think that I could have used an even thinner brush for the white stripes too, as I would have liked to have seen more of the purple. Oh well...next time! 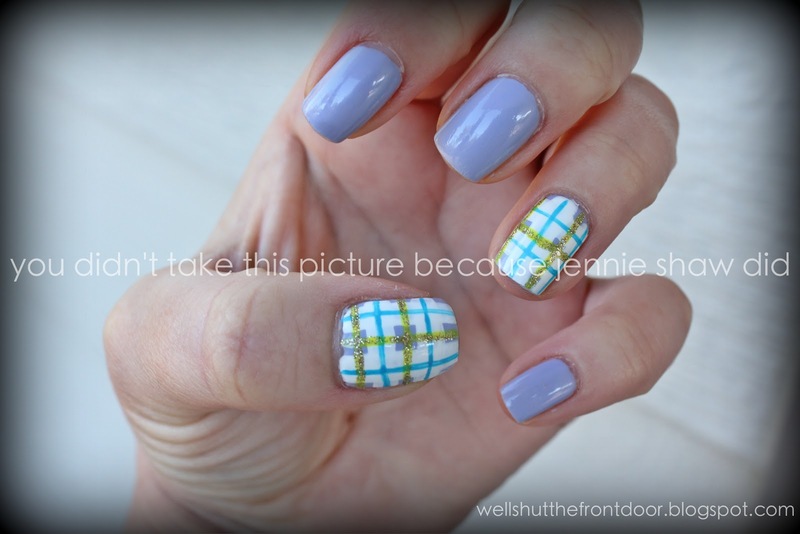 I've tried plaid a few times, but it never looked quite right. Yours looks awesome! Lovely! How long did it take you to do? What a great tutorial and your mani looks adorable! 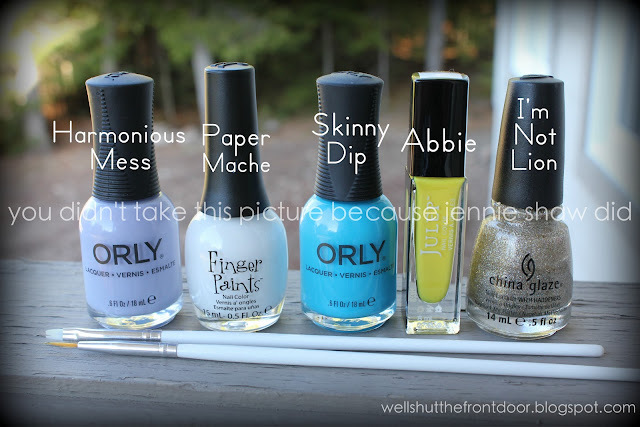 you are the nail art queen! Love the gold glitter with the pastels! Where did you get the little brushes? Love the color combo! And you have a mega steady hand which I am jealous of.